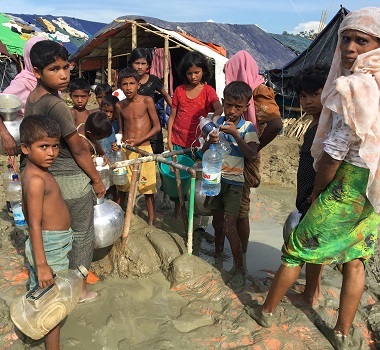 Bangladesh – Rohingyas queue for water. 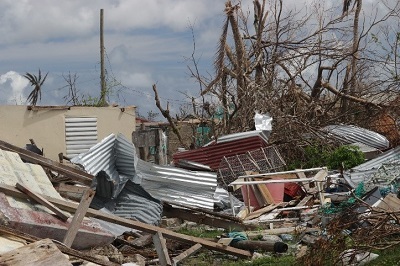 Maria – Barbuda damage, crumpled tin roofs. 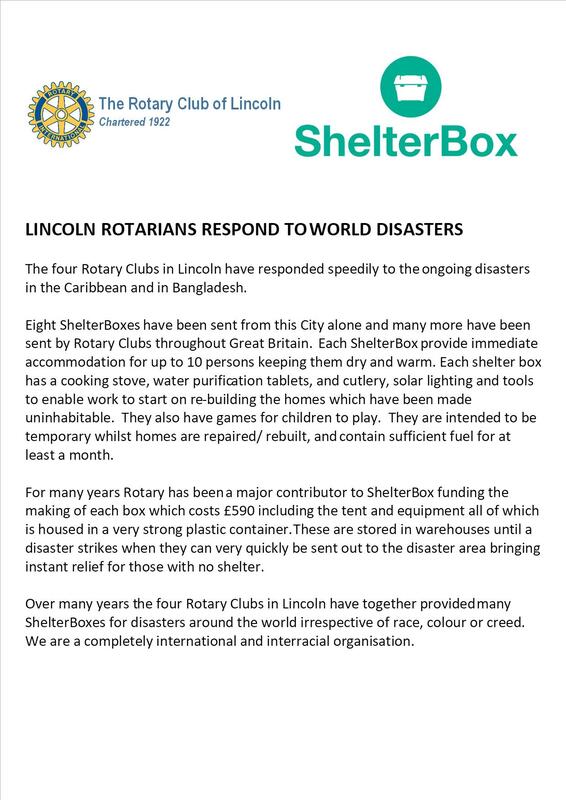 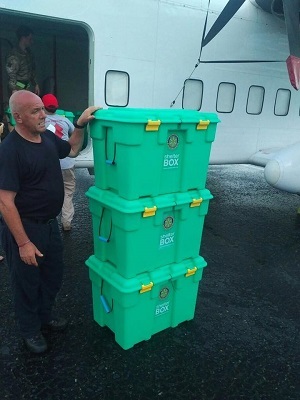 Maria – Shelter boxes unloaded from plane BVI.